Unputdownable insight, straight from the horse’s mouth. 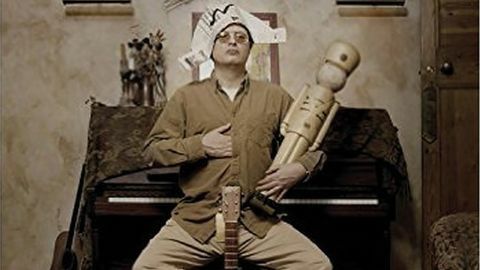 “I think Yes were melodically a really good pop group,” says Andy Partridge, midway through discussing his song Meccanik Dancing with XTC uber-geek Todd Bernhardt. “But they just had this thing where every song went on twice as long as it should have done.” Therein lies the truth about Swindon’s finest: XTC were a pop band with prog sensibilities. Complicated Game delves deeper into this largely unsung hero of British music’s refined craft than any previous books. Yes, you probably need to be a huge XTC fan to fully appreciate the breadth of analysis and depth of detail contained herein, but even those who don’t regard XTC as a prog band should find themselves warming to that notion after a few chapters. It helps that these intelligent, warm and frequently hilarious conversations between idiosyncratic artist and perceptive super-fan rattle along with great energy and have been spared heavy-handed editing that would have harmed the natural flow of the duo’s chats. Aside from being highly revealing about Partridge’s creative process, Complicated Game is also a treasure trove of technical minutiae, as countless secrets about how XTC achieved their rich studio sound are drawn from the great man’s memory banks by his co-author’s unapologetic nerdiness. But it’s the rapport between them that seals the deal, Partridge’s delight at having his memory repeatedly jogged proving infectious as the book rolls on. If you’ve ever enjoyed an XTC record or have a yearning to know why their 1987 album Skylarking apparently smells of “rotting rat mixed with lavender floor polish”, this is a real treat.